"An integral part of a sustainable health delivery system is the ability to facilitate equitable access to, and delivery of, the needed health services and technologies… Accordingly, the government has identified the need for strategies to ensure access; strengthen control of safety; enhance harmonization and coordination of procurement, and stocking and distribution." Since its establishment in Tanzania, ADP has responded to the priorities identified by national stakeholders to support key functions for the introduction and delivery of health technologies. These priorities include strengthening capacity for priority setting and resource allocation for the national health insurance scheme, as a contribution towards UHC, and strengthening of the national regulatory system. In light of the prevalence of NTDs, ADP has focused on two areas: to strengthen capacity for the conduct of implementation research to identify and address country-specific barriers to disease prevention and control; and to address inefficiencies in supply chain management linked to national NTD MDA campaigns, so that such large-scale distribution of quality-assured preventive hemotherapy achieves maximum coverage and minimum wastage. Strengthened stakeholder capacities to ensure policy coherence between public health, industrial and R&D objectives is a key outcome of ADP in Tanzania. The on-going collaboration of ADP with the Tanzania Commission for Science and Technology (COSTECH) enables a national multi-stakeholder platform to identify the most pressing access and delivery priorities in the country, including issues related to domestic regulatory capacities. ADP has strengthened capacities of national disease control programmes to systematically identify and address barriers to the effective use of health technologies, through its support to the MOH in improving the effectiveness of disease control tools and technologies in priority areas. 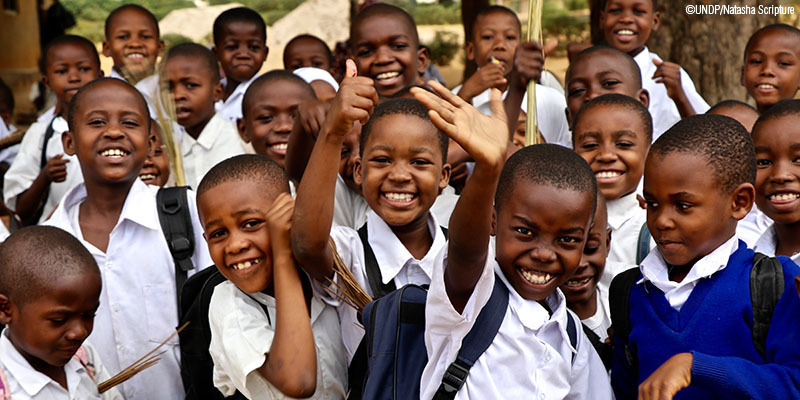 As an integral part of this work, ADP supported the development of the National Agenda for Health Systems Research for TB, malaria and NTDs in Tanzania, consolidating existing efforts to identify and address bottlenecks in disease prevention and control. ADP provided training for mid- and senior-level researchers, implementers and policy-makers, with the result that national research teams have successfully developed and received funding for projects aimed at strengthening MDA campaigns against NTDs and improving early diagnosis and treatment of MDR-TB. ADP support to strengthening both institutional and technical capacities within the National Pharmacovigilance Centre at TFDA has enhanced the regulatory system to monitor and respond to safety issues effectively. In particular, TFDA has addressed the underreporting of adverse drug reactions, resulting in significant improvements in Tanzania’s drug safety monitoring system, with the national reporting rate of adverse drug reactions more than doubling from 2014 to 2017. This result reflects the effectiveness of the training by ADP of nearly 500 health care providers and master trainers from public and private health facilities across 20 districts. As another complement to its work on safety monitoring, ADP supported TFDA in the launch of a new system for direct reporting by consumers, by conducting an education campaign promoted through electronic and print media. ADP has also supported incorporation of systematic economic evaluation into the priority-setting process in Tanzania for the National Essential Medicines List (NEML), through the introduction and establishment of a national HTA mechanism. In a partnership with the Pharmaceutical Services Unit (PSU) in the Ministry of Health, Community Development, Gender, Elderly and Children (MOH-CDGEC) and the South African technical agency, PRICELESS, ADP provided technical support for the review and revision of STGs and the NEML. Revision of the STGs and NEML, adopted by MOH-CDGEC, reflect the HTA recommendations. Successful implementation of these changes will contribute to cost-effectiveness and increased coverage of the national health insurance benefits package, which covers over 12 million beneficiaries. The review process has ensured a South–South transfer of knowledge to the PSU and other stakeholders in Tanzania, which will be a valuable foundation for conducting future assessments and the establishment of a formal HTA mechanism in the country. PSU, PRICELESS and ADP intend to jointly publish the process of the STG/NEML review to provide a lessons learnt and good practice document for other countries intending to undertake similar reviews. The aim of ADP support to strengthening supply chain management for NTD-focused MDA campaigns is to address the cost inefficiencies related to the supply chain of the $100 million annual NTD treatment programme. A three-pronged approach was adopted: build a cadre of trainers on NTD MDA supply logistics management; develop the guidelines and training curriculum; and rollout the training programme at all levels. The training was undertaken in over 100 regional and district pharmacies in districts with the highest prevalence of NTDs, with the guidelines and training curriculum rolled out to over 3,000 health workers in 20 regions in management of MDA campaigns.